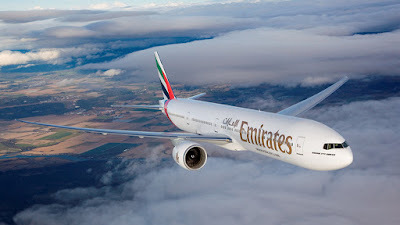 Aviation Updates Philippines - The Philippines is eyeing the launch of direct flights between Davao International Airport and United Arab Emirates which will be discussed in the upcoming air talks with UAE this week. If materialized, these flights will greatly improve air connections between the two countries. AIR PACT. Air agreement between UAE and the Philippines will eventually lead to the launch of direct flights between Davao and Abu Dhabi and Dubai. Photo by Emirates. The air talks will be held in Cebu on April 26 to 27, following a series of air talks with the two countries in 2012 and 2015 which increased entitlements to 70 flights per week between Manila and Dubai and Abu Dhabi. It will be led by the Department of Transportation, Department of Tourism, Department of Foreign Affairs, among other agencies. The UAE delegation is expected to have representatives from its federal government, Emirates and Etihad. Local airlines have recently opposed the plan of Middle East carriers to increase entitlements to Manila as it would 'hurt' their business and would add to the congestion. However, Philippine Airlines hopes that direct flights between Davao and UAE will push through. According to the airline, if the new routes will be established, it will be the first international route outside Southeast Asia from Davao. PAL also stated that the Ninoy Aquino International Airport in Manila is already congested and Davao will be a more convenient alternative. The airline has been launching flights out of Clark to help ease congestion in NAIA. Currently, Emirates flies 18 weekly flights from Dubai to Manila while Etihad flies 17 times weekly from Abu Dhabi to Manila. Local carriers Cebu Pacific and PAL both operate flights to Dubai, Kuwait, Riyadh and Doha. Additionally, PAL flies to Abu Dhabi, Dammam and Jeddah.